In this blog we’ve published the answers to a number of evaluation related Health Matters questions we received from professionals across the UK at the recent launch teleconference. You have said that the early outcome data is showing better results than you would have expected in terms of weight loss. But I’m just curious, because this intervention was based on the evidence review that suggested long-term lifestyle change interventions are effective for people at high risk of diabetes - how do the early outcomes compare to what we’re seeing in the evidence review? Are they comparable? Having Non-Diabetic Hyperglycaemia (NDH) itself isn’t thought to necessarily cause damage, although it is likely to be associated with other factors conferring high cardiovascular (CVD) risk. The outcomes are comparable. The specification for the NHS DPP took the most robust evidence available at the time. This is the first nationwide diabetes prevention programme anywhere in the world, so there isn’t a directly comparable study out there. But all the individual elements of the NHS DPP have an evidence base behind them, and we are actually outperforming what would have been expected on the basis of the literature. Clearly, to some extent, that is justification for us putting together a more intensive programme with all those elements in it. But the actual weight loss achieved to date is in line with what was expected. The other thing we’re seeing in the data is that we’re getting broadly a proportionate number of people from the most socially deprived quintiles as we are from the most affluent quintiles. When you look at the international literature and look at the cohorts of patients or people that have been through the services, sometimes they’ve been from more affluent groups. Whereas it is clear in the results so far from the NHS DPP that take up is in all sectors of society where it has been rolled out. We’re also just starting to see statistically significant reductions in HbA1c. We are curious to know when it’s likely that we’ll get a complete evaluation of the National Diabetes Prevention Programme. The way that the evaluation is set up is that there are six or seven workstreams, and they report at different times. The final report, which looks at the effect on incidence, will be in about three years’ time. 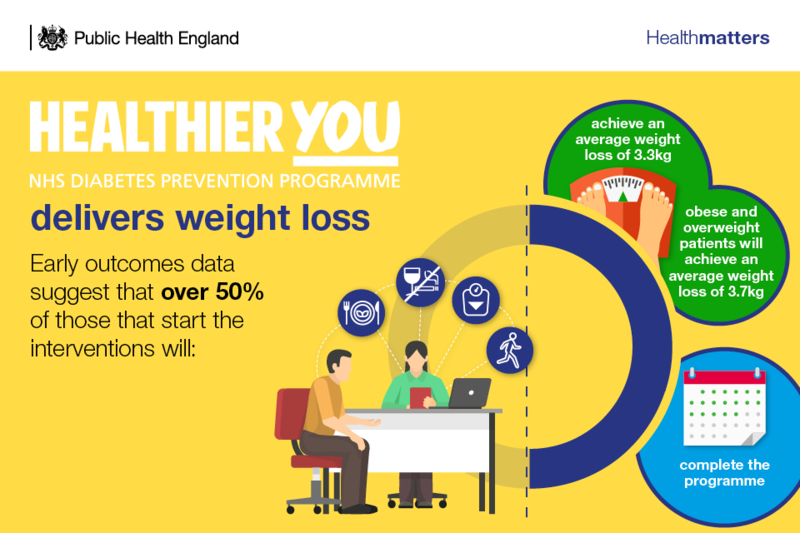 This is an upstream, preventative programme, so you won’t really see changes in the data until the point at which the person would have otherwise developed diabetes and that that takes time to show. But we are starting to see the first outputs from those workstreams. So we envisage that there will be a series of reports over the next few years. We have undertaken some evaluation of the characteristics of the programme and there is a first progress report paper published in Diabetic Medicine, a peer-reviewed journal. There have already been reports done by the commissioners of the programme; there was a report by Fuse, a unit at the University of Newcastle. There will also be a series of future reports, with the final report from the University of Manchester team in about three years’ time. And beyond that, we will continue to monitor the long-term effectiveness of the programme through links with National Diabetes Audit. I’m a Diabetes Programme Assurance Manager and I just wanted to ask a question about the long-term evaluation and follow-up of patients. So I appreciate that there is an evaluation that takes place at the end of the programme for people going on the programme. But what’s the plan for the longer-term evaluation of these people? The programme is subject to the largest ever evaluation from the National Institute for Health Research, in terms of financial commitment. Their team are doing the long-term evaluation of the programme. We can’t promise you there’s an evaluation of every single patient in there, but they are using GP records to look at the long-term outcomes. We are working with sites to make sure everyone with NDH has an annual review with their GP, and that’s part of the specification for the programme. 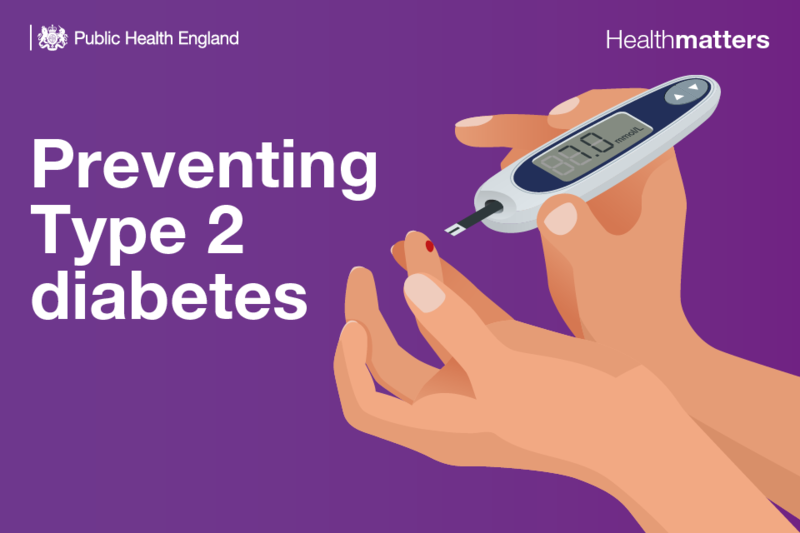 The National Diabetes Audit will also be collecting data on NDH and other metrics, such as medications, for example, which it wasn’t before 2018/19. So we should have a really rich data source there for evaluating. What do you see as the long-term future of the programme? Do you envisage the local delivery funding being taken on by local commissioning? NHS England has just approved investment for a further three years in the programme at the considerable investment of over £80 million over the next three years, which is considerably more than has been put into the programme to date. The original provider framework was for a three-year period, and we have just agreed a new framework, which we expect to have in place from April 2019. That will cover the years 2019/20, 2020/21 and 2021/22. The centralised commissioning model works very well for a long-term preventative programme. That isn’t to say that at some point in the future, we wouldn’t consider changing the commissioning model, but we’ve no immediate plans to do that, and certainly envisage continuing with the centralised model in the way that we have done for a further three years. Diabetes will cost the NHS approx. £30 billion over the next 3 years. The investment of £80m represents approximately 0.25% of this predicted cost. Do you think this is sufficient?